In his apology, Ajmal said, "I have been in politics for 13 years, it never happened. That was a mistake, please forgive it, I accept that I shouldn’t have done it." 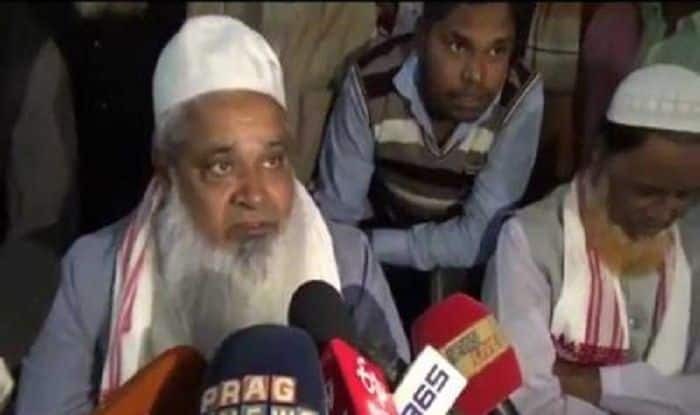 New Delhi: Facing protests over his alleged threats to a journalist, All India United Democratic Front (AIUDF) chief Badruddin Ajmal apologised on Thursday. In the video that went viral leading to protests, Ajmal threatened to smash the head of a journalist who asked him if he’ll ally with Congress or BJP in future. The Wednesday incident was condemned by the ruling BJP, its ally AGP and the Opposition Congress. The parties said Ajmal had not only insulted the particular journalist but the fourth pillar of democracy and the people of Assam as a Parliamentarian. The influential All Assam’s Students Union (AASU) and All Assam Minority Students’ Union (AAMSU) demanded the Dhubri lawmaker’s arrest over the incident. The journalist who was threatened by Ajmal has already registered a police case. In Nalbari district’s Tihu, journalists and members of Assam Jatiyatabadi Yuba Chhatra Parishad (AJYCP) staged a protest and burnt Ajmal’s effigy. Members of United Television Media Association wore black badges and staged a sit-in at the Dispur Press Club premises. Referring to Ajmal’s apology, they said since he abused the reporter at a public event, he should hold a press conference and apologise rather than posting messages on social media. On Wednesday, at the journalist’s question, Ajmal had said, “How many crore will you give? (abuse)… Is it journalism? People like you are demeaning journalism. This man is against us from earlier on.” Ajmal then reportedly snatched the microphone of another journalist and tried to hit the scribe who had asked the question. “He is asking for how much money will I be sold to BJP? His father will be sold. Go from here or else I will break your head. Go and file a case against me…(abuse)… I have my men in court…you will be finished. You have done this earlier also,” the leader reportedly said. The journalist was then made to apologise by Ajmal’s men for asking the question.